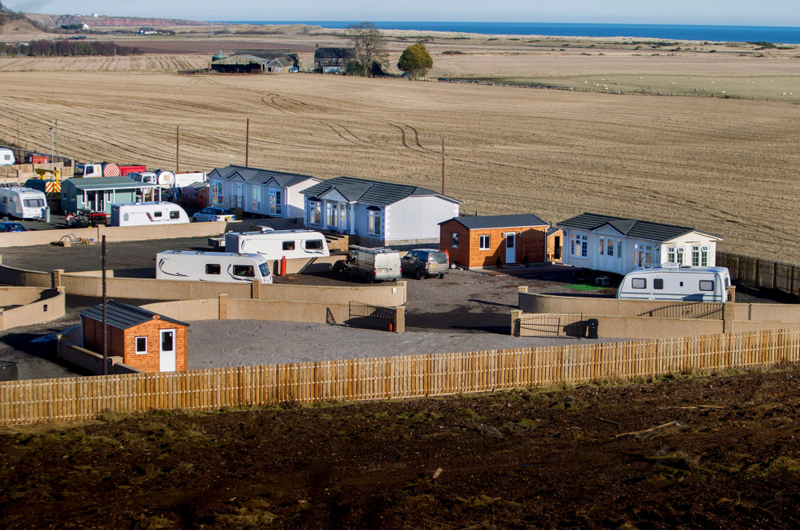 Scottish ministers overturned the retrospective planning permission for the land at North Esk, St Cyrus last year, and the travellers were given until July 2018 to leave. But now the group has ruled out appealing to the Court of Session. Talks will continue between North Esk Park residents and Aberdeenshire Council to find a “way forward” in what has been described as a “complex situation”. The news comes as the businessman behind the park announced he is “reluctantly” severing his links with the park, which was built without consent four years ago – much to the fury of local residents. William McDonald, who owns and operates the five-star Monarch of the Glen residential site in Montrose and has applied for planning permission for a luxury holiday park at a former piggery at Luthermuir, has decided to hand over the reins. He said: “Obviously we were disappointed with the Scottish minsters’ decision. Planning consultant Alan Seath, who has represented the travellers throughout the battle, said it was a “complex” situation. After initially refusing permission and instigating enforcement, Aberdeenshire councillors then voted overwhelmingly in favour of granting permission for the creation of an official halting and touring site in April last year. The application was called in after Sepa confirmed the site had flooded several times. The Scottish Government later refused the retrospective consent.